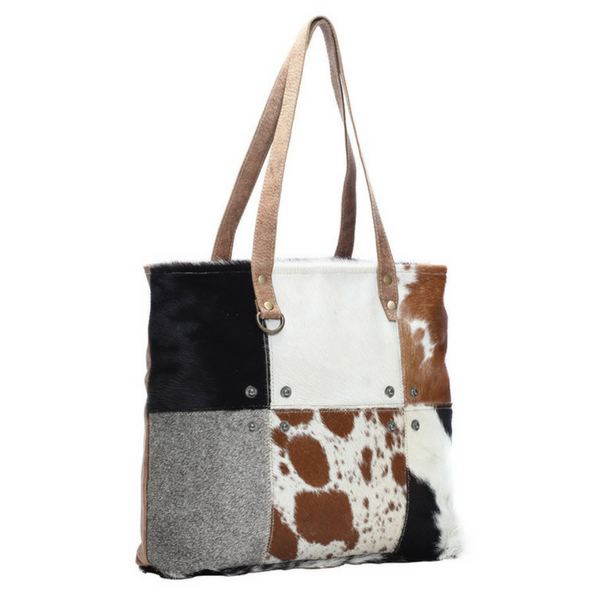 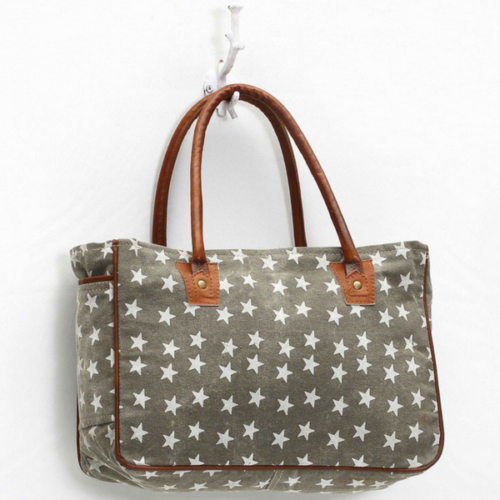 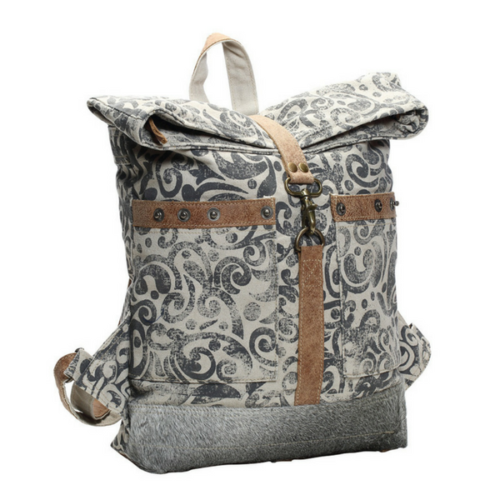 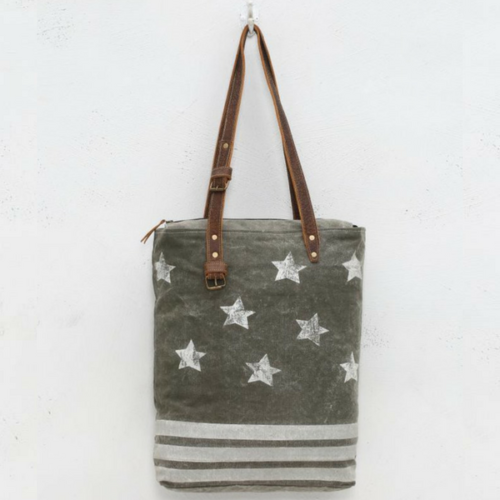 A beautifully stitched patchwork of smooth, sublime cowhide covers both sides of this Tote bag. 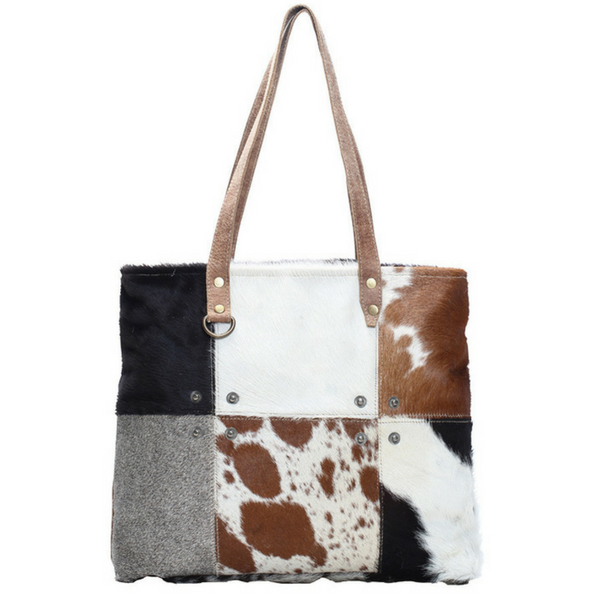 A beautifully stitched patchwork of smooth, sublime cowhide covers both the front and back of this Tote bag. 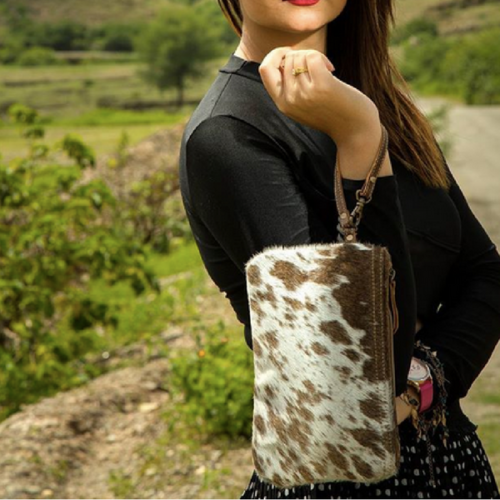 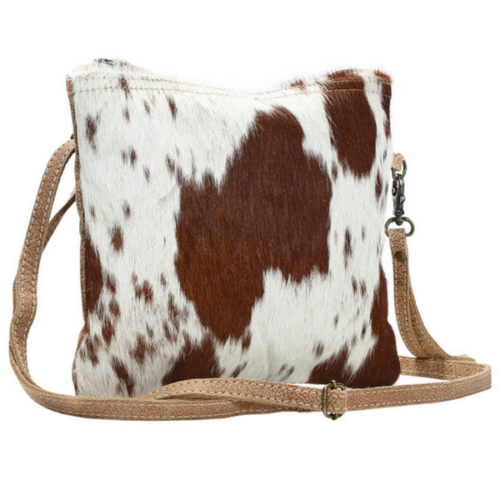 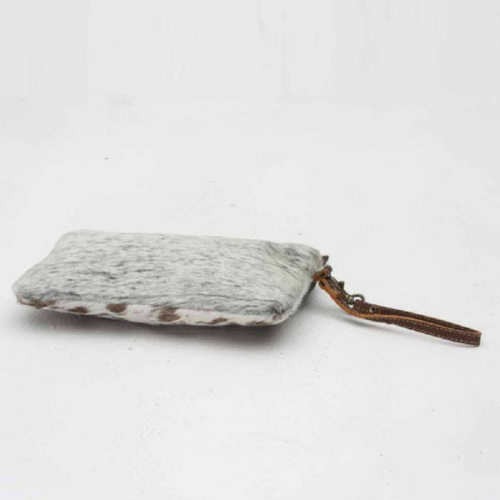 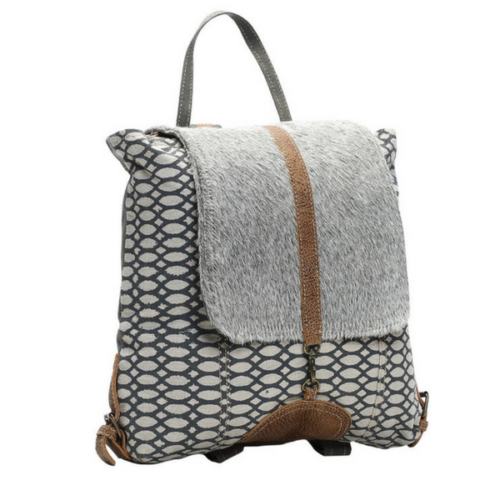 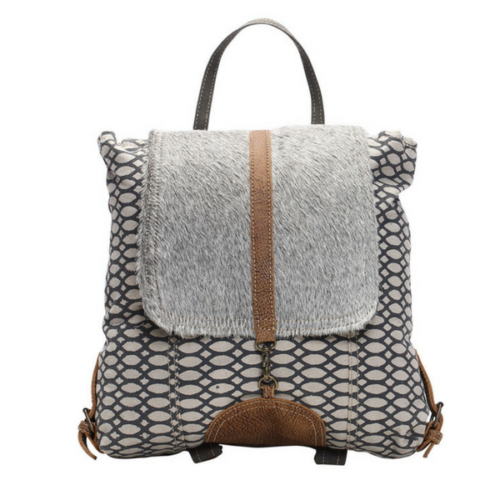 Manufactured in India from bona fide cowhide, this generous bag is unique due to its rich tapestry of hide patterning. 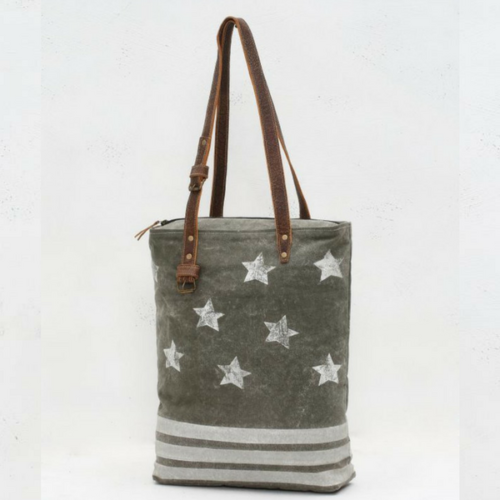 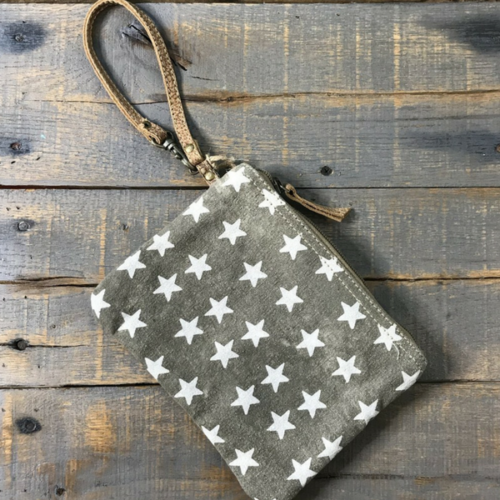 Sophisticated, chic and simple in design the bag has a full width top zip with leather toggle, matching thin leather straps and three internal internal pockets – one zipped and two open – sewn into its cotton lining. 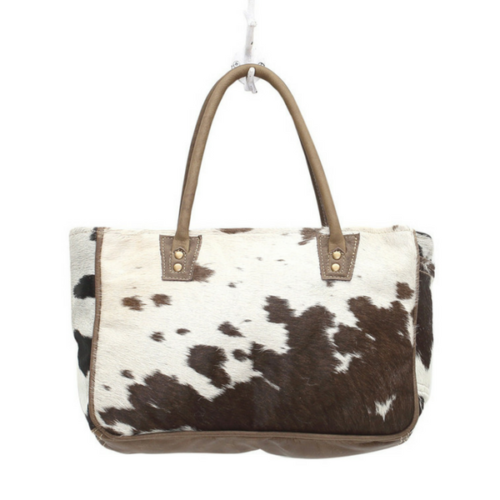 Beautiful, smooth cowhide on one side of this bucket bag; rich, deep brown, leather covers the back. 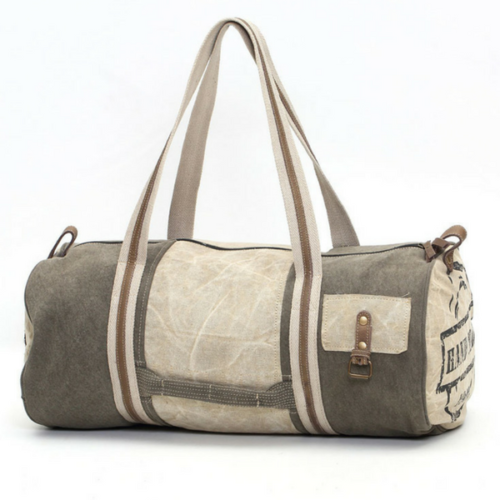 Absolutely one-of-a-kind due to the hide patterning, this is one of those bags you don’t ever want to leave home without. 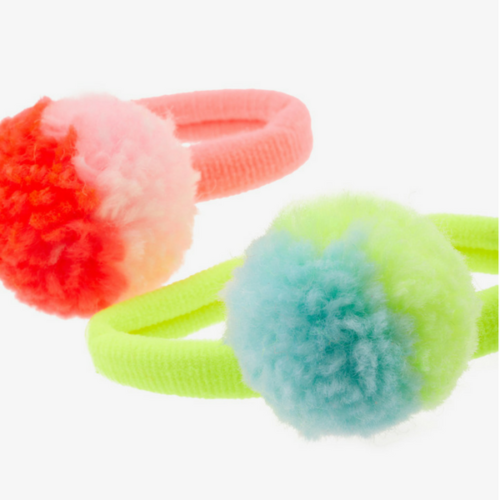 Add funky neon colour to your hair with these gorgeously soft Pom Pom hair ties. 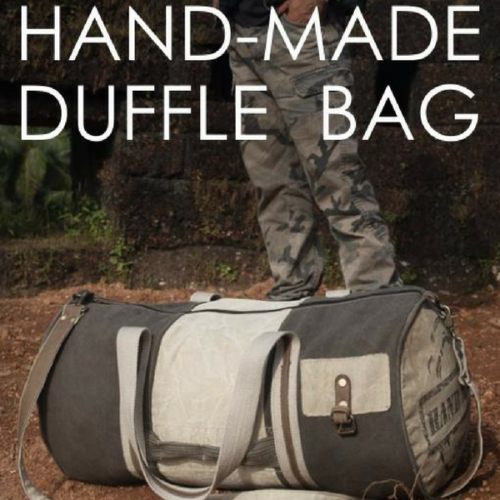 Barrel-shaped Duffel Bag is an ideal gift for any man – young or old! 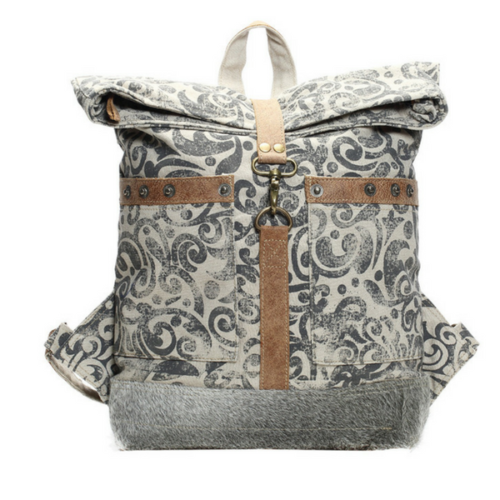 This bag Really Holds A Lot! 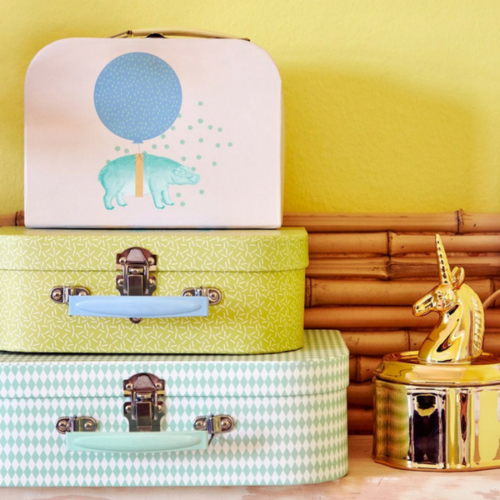 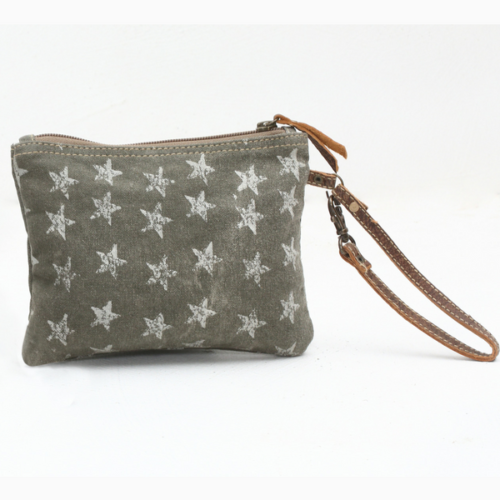 It’s ideal for make-up, study books – even a pair of shoes! 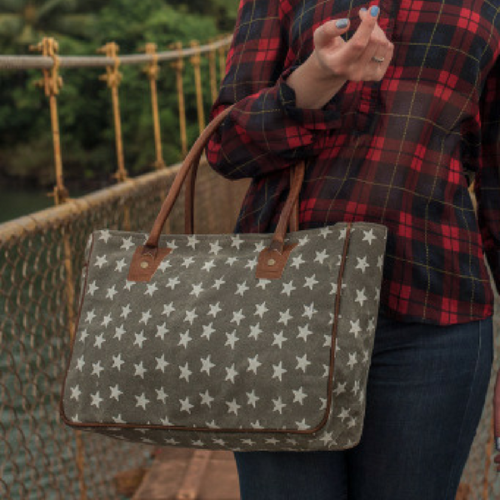 Casual statement pieces that are the ideal size for all your daily handbag essentials, including your ipad/tablet.